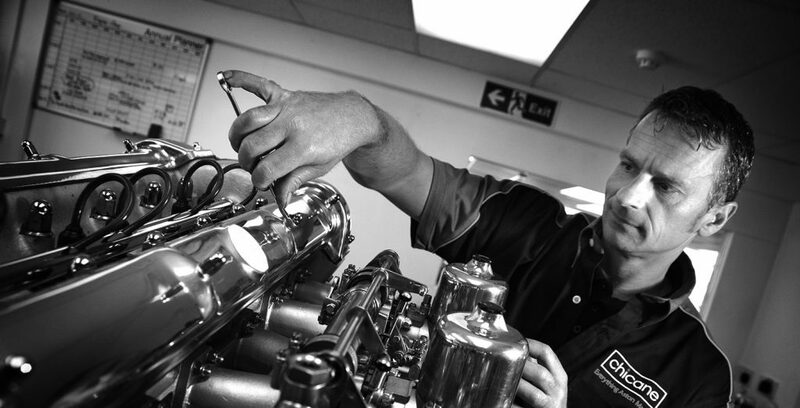 Mark is one of Chicane’s engine builders and classic era restoration experts. Mark has also specialised in electrical diagnosis and repair and carried out specialist work for the likes of Duncan Hamilton, Wood BMW, Renault UK and a classic Jaguar restoration company. Furthermore, Mark has crewed and run a 1970 Le Mans winning Porsche 917, Ford GT40, McLaren F1 Longtail and an Aston Martin DBR9 and enjoys doing Motocross and Karate.